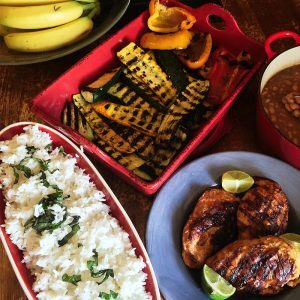 Our service is different in that each plan is customized for the client, more of a personal chef service that makes your meals. Not everyone’s tastes, fitness or dietary goals are the same. We are committed to customizing a plan you love. Whether you need to lose or gain weight, we can help! Eating healthy only works if you love the food you are eating. 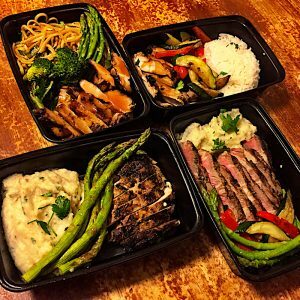 Freshly prepared meals delivered 2 times a week. Because we don’t believe in eating old food. Our food has never been frozen and is not intended to be frozen. Our commitment is that food should be fresh and packed with flavor. Because of this commitment we currently only service the Los Angeles & Orange County metropolis area. 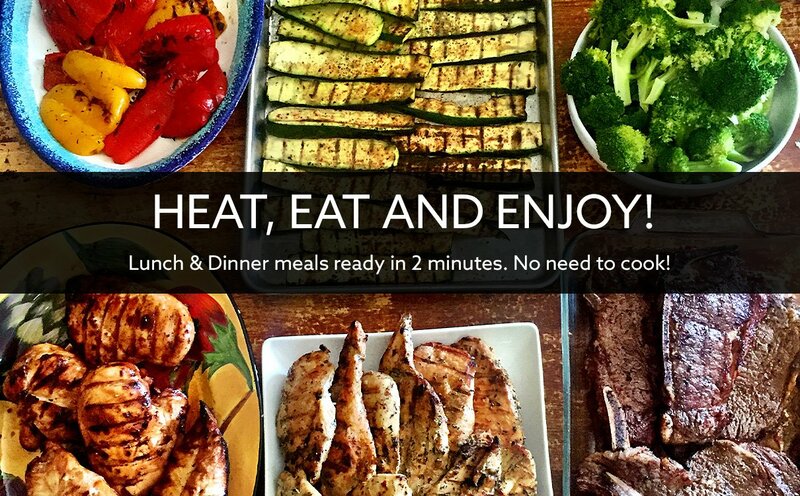 TIRED OF THE SAME BORING REPETITIVE FOOD? We are too! 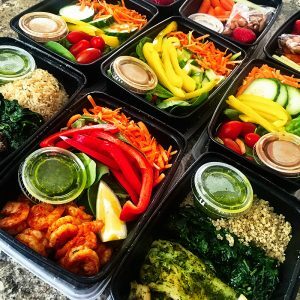 Our menu changes every week and food changes daily on your customized meal plan. We will repeat a meal only if you want it! We only use lean meats in our meals. It keeps the calorie count down, protein content high and saturated fat low. 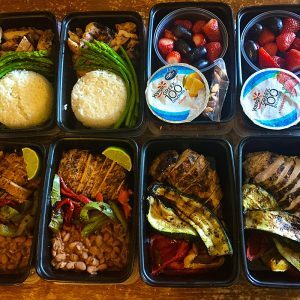 Our average chicken, steak/beef, and fish meals have 6 oz of protein. NO TIME & PLACE TO HEAT YOUR FOOD? Our snacks and our Salad meals require no heating and are ready to enjoy! Perfect when you need to grab and go! 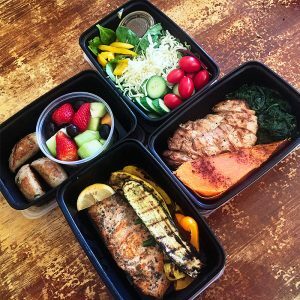 A 4 meals per day plan / 5 days a week / delivered 2 times a week, averages around $260 a week. Depending on your needs, it could be less or more. We have a minimum delivery purchase of $150. 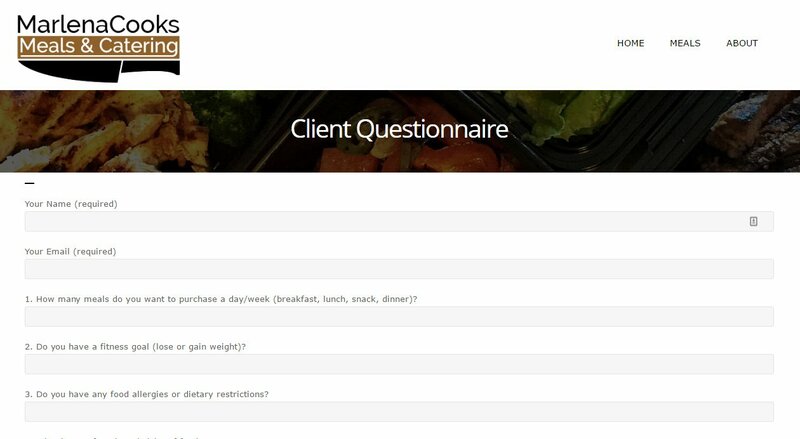 Fill out our client questionnaire and it will help us out in understanding your dietary needs and if our service is right for you. © 2016 Marlena Cooks. All rights reserved.